The Horus Heresy: Battle of Tallarn out now on iOS, PC and Mac! The Horus Heresy: Battle of Tallarn is now available to buy on iOS and Steam! The Horus Heresy: Battle of Tallarn is a turn-based strategy game that recreates one of the most important events in Imperial history. Command a vast array of tanks, Dreadnoughts, Knights and Titans across the toxic landscape. 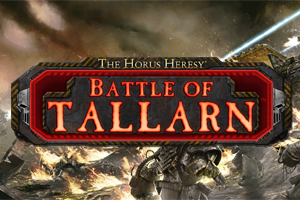 HexWar Games has partnered with Games Workshop® to bring you The Horus Heresy: Battle of Tallarn™. Get ready to fight the largest tank battle in Imperial history with more tanks and more destruction than ever! After the virus bombing by the traitorous Iron Warriors rendered the surface of Tallarn deadly to biological life, the besieged forces call upon legions of tanks – from the Leman Russ to the almighty Baneblade to bring war to their enemy. The battles begin after the devastating blow that turned the planet into an apocalyptic wasteland, amid the grim conditions the survivors faced in the aftermath. The Horus Heresy: Battle of Tallarn is a turn-based strategy game that recreates one of the most important events in Imperial history. Command a vast array of tanks, Dreadnoughts, Knights and Titans across the toxic landscape. Play as desperate Solar Auxilia units fighting squadrons of Iron Warrior Predators for control of vast underground bunkers. 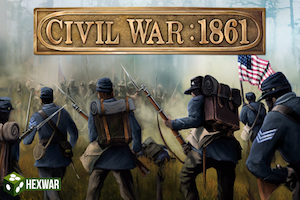 Civil War: 1861 now available for PC and Mac on Steam! Civil War: 1861 covers the opening battles of the American Civil War. The game covers both the small and large actions of that momentous year, starting with the battle at ‘Big Bethel’, on to the comparatively vast engagements at ‘Bull Run’ and ‘Wilson’s Creek’.